Leizhan look forward to meeting you at Vietnam Paper 2016 from April 26 to 28, 2016 at VEFAC, Vietnam. 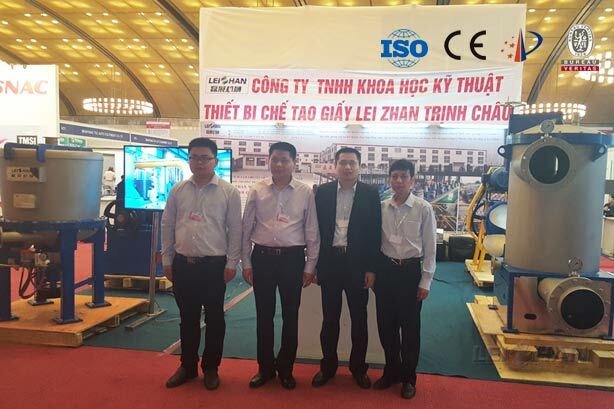 Leizhan high technology paper pulp production equipment will be displayed at the exhibition site. Machines to display at the fair contain: paper pulp making machine and auxiliaries, cardboard making equipment, accessory and instrument, paper processing equipment, dewatering, pressing machine, pump, valve, pipe and new technology paper making machine, energy saving paper manufacturing technology and equipment; Fluting paper, Kraft paper making machine, Conveying machine, Paper bales breaker machine.